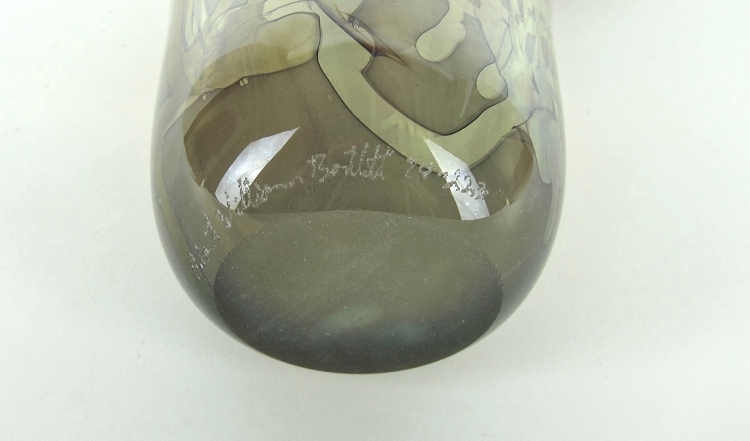 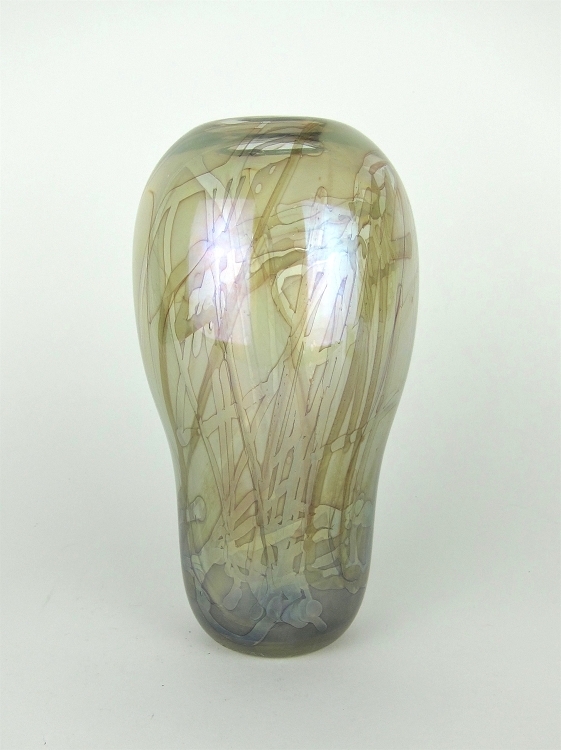 A signed and numbered American studio glass vase by Robert (Bob) William Bartlett (b. 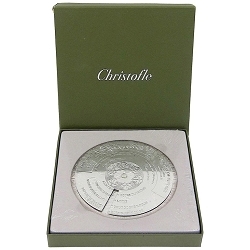 1948). 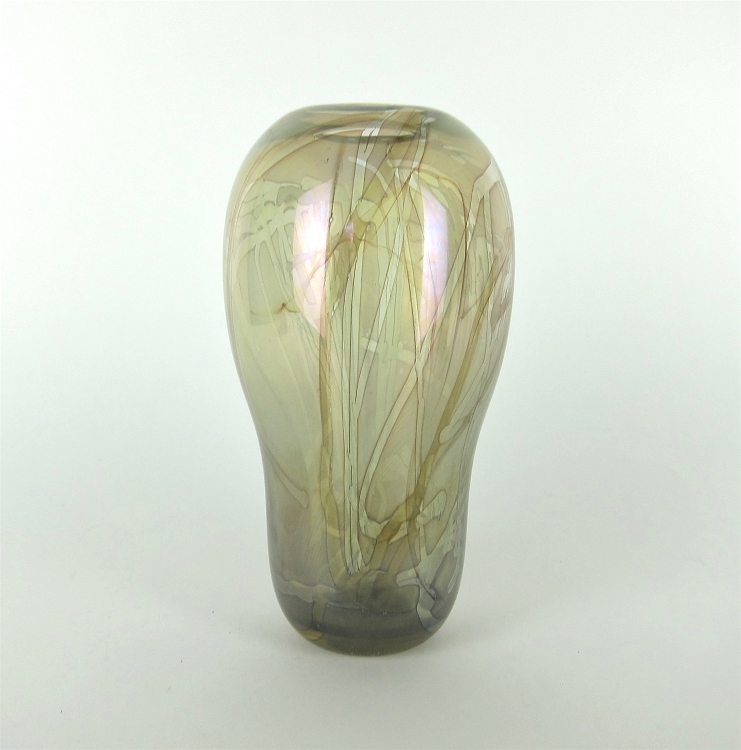 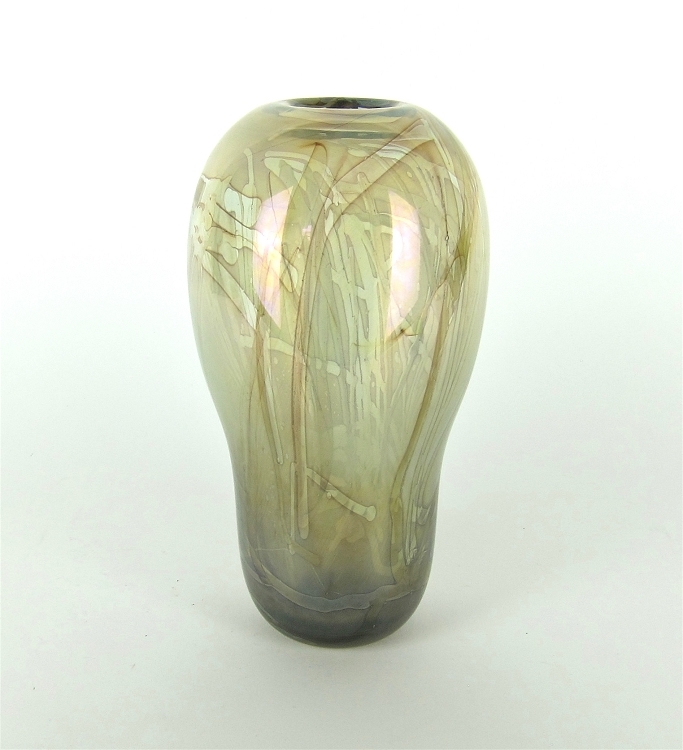 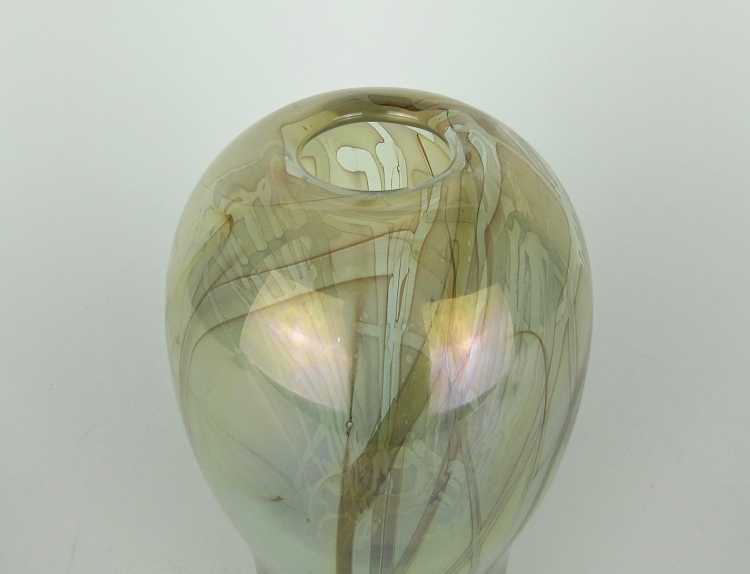 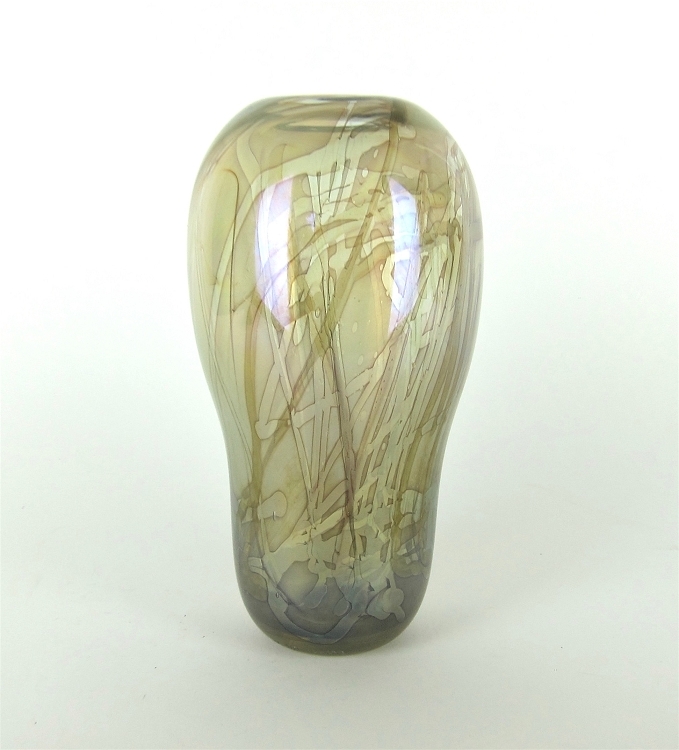 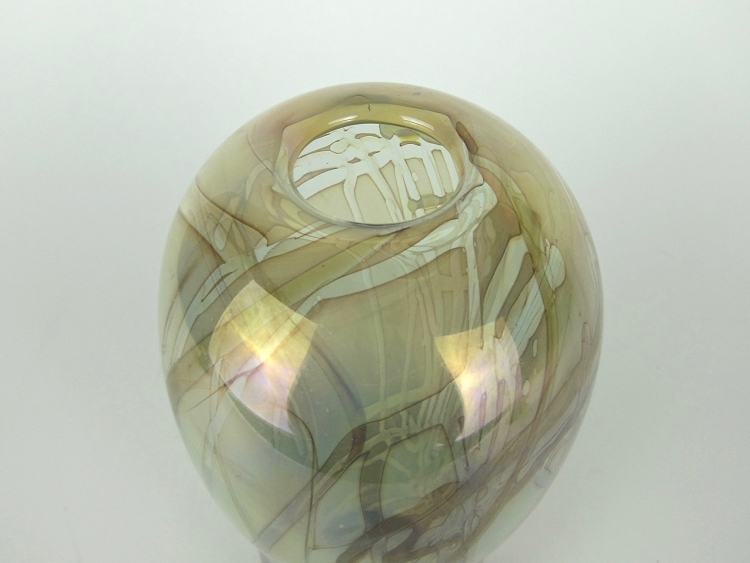 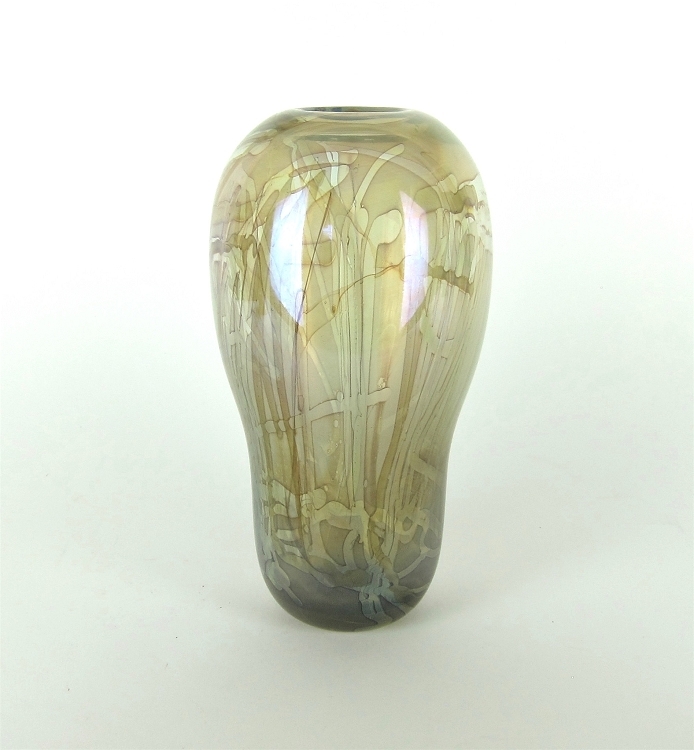 The glass vessel in neutral greens and browns is set off to great artistic effect by an overall iridescence. 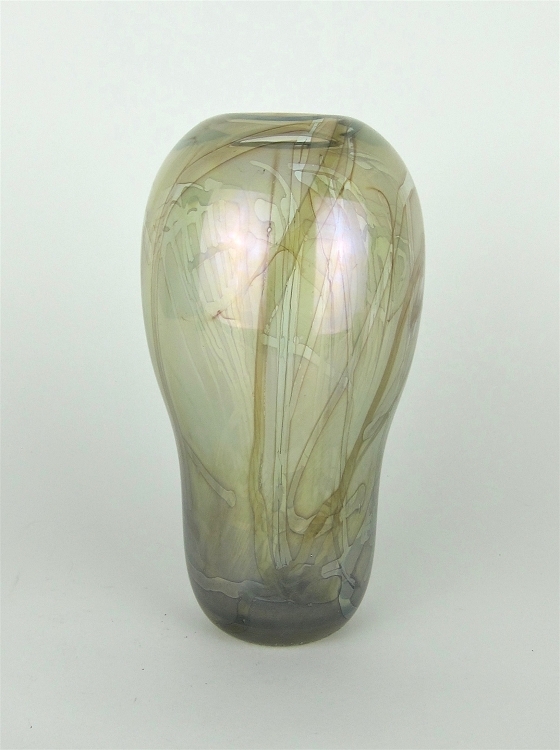 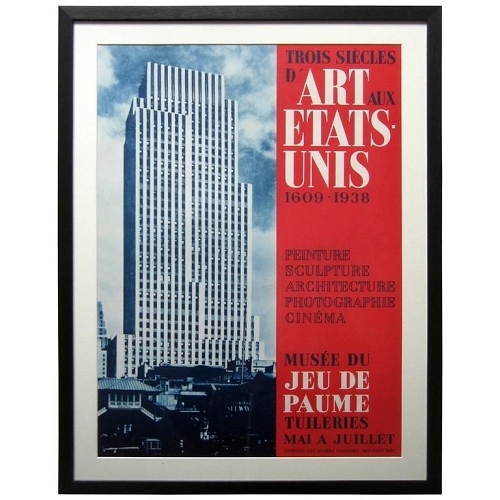 Much of the design is transparent with contrasting darker designs trailing down the body toward an increasingly opaque base. 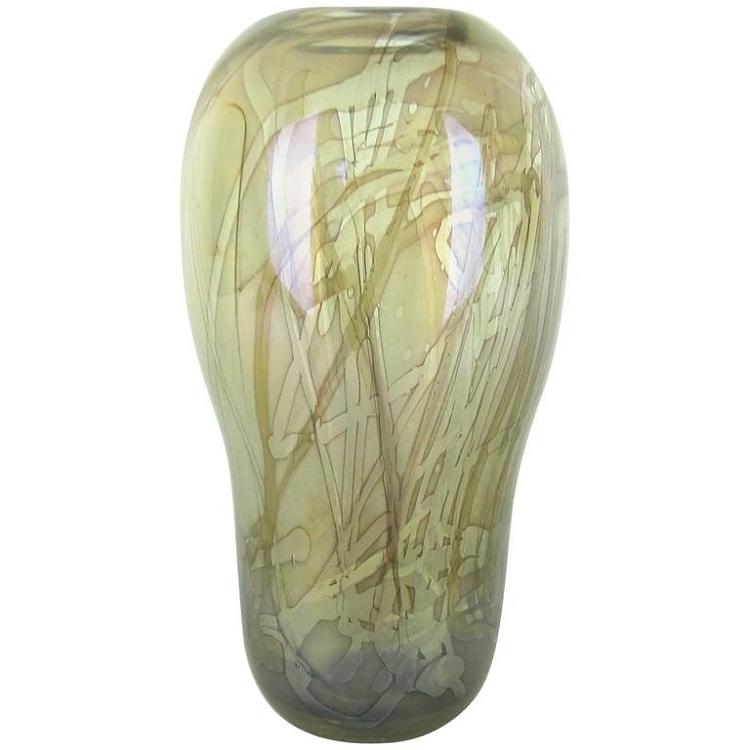 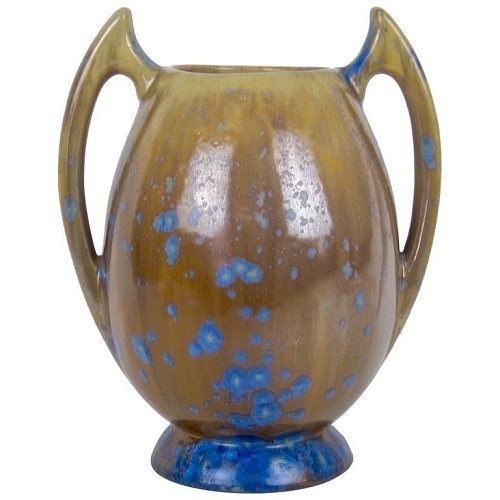 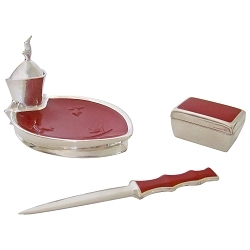 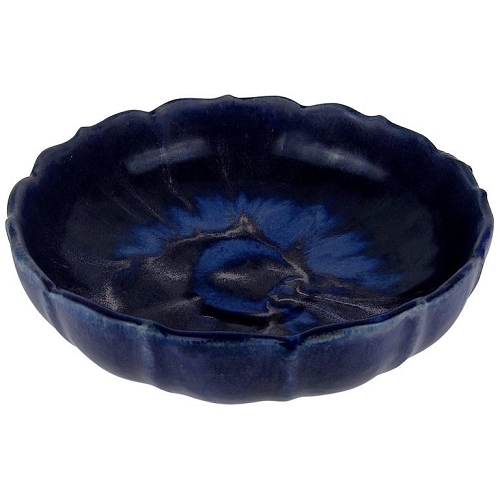 The vase swells up from a heavy ground base and measures 9 in. 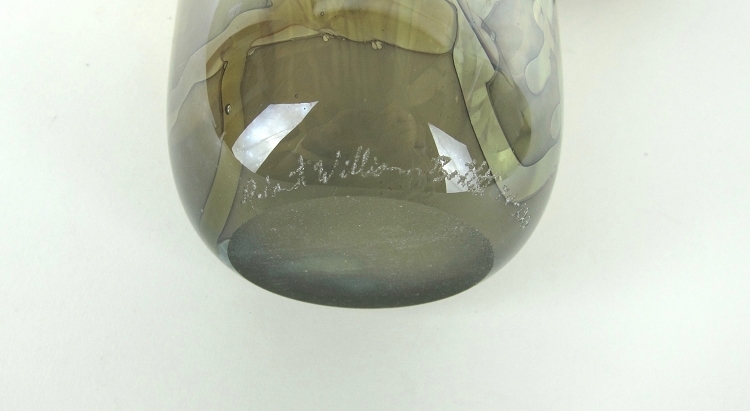 H. Very good condtion, wtched "Robert William Bartlett 74-223" by hand at lower edge.